Your posts about history that’s why I am too much liked your blog and also invite my friends. Last time read the essaypro discounts history in your blog and this is too much informatics for me. Things make me exceptionally inquisitive and I get this sudden desire to think about them more profoundly than any time in recent memory I had expounded on my interest with old history on Custom Essay Services blog and I didn't hope to have such huge numbers of individuals revealing to me the amount they were charmed by history also. Lithographic plate making was done years Essay Camp back for printing news papers and to outline books etc.And it was extremely tedious to cut those plates. Today,everything is speed related . the speedier the better and that is the place Digital becomes an integral factor. I think Lithographic plate making is currently an under-appreciated skill in this day and age. Arugula Hey There. I found your blog using msn. This is a very well written article. I’ll be sure to bookmark it and come back to read more of your useful info. Thanks for the post. I’ll definitely return. Asparagus This is an excellent post I seen thanks to share it. It is really what I wanted to see hope in future you will continue for sharing such a excellent post. Remedies for Age Spots The material and aggregation is excellent and telltale as comfortably. Bok Choy Very nice article. I enjoyed reading your post. very nice share. I want to twit this to my followers. Thanks !. Benefits of Maca Root Wonderful blog post. This is absolute magic from you! I have never seen a more wonderful post than this one. You've really made my day today with this. I hope you keep this up! 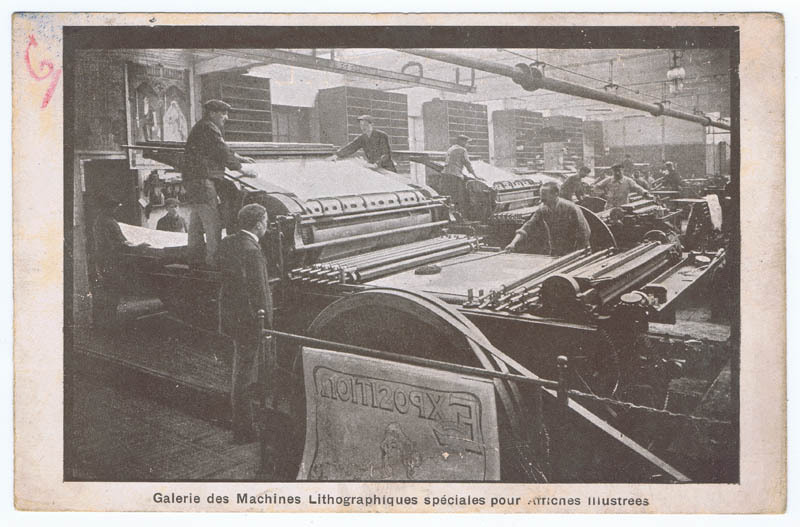 “Imprimerie A. Pomeon & ses Fils - Galerie des Machines Lithographiques spéciales pour Artiches Illustré	,” Historische Drukkerij Turnhout, accessed April 22, 2019, http://archive.historischedrukkerij.be/items/show/7420.